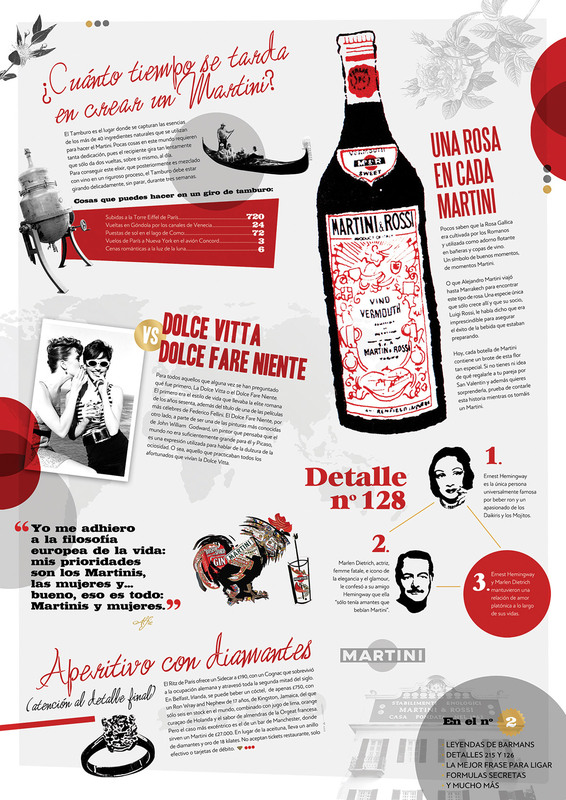 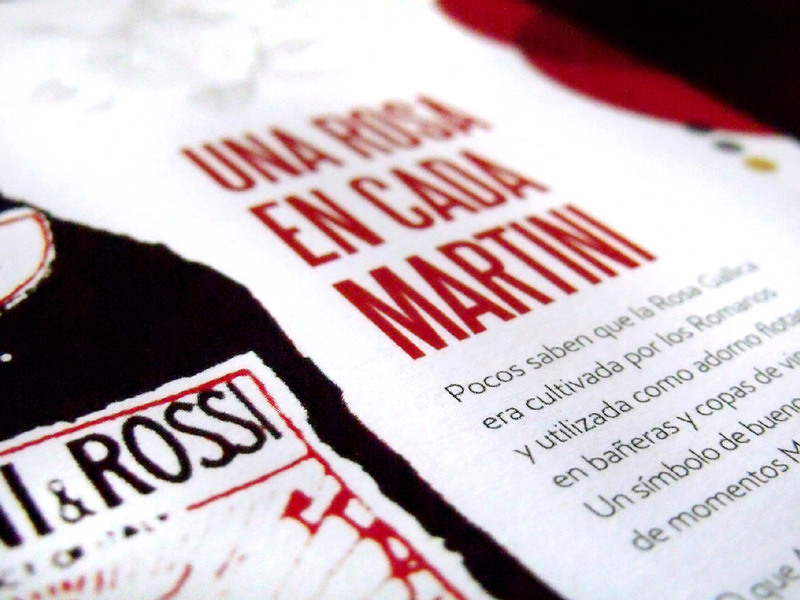 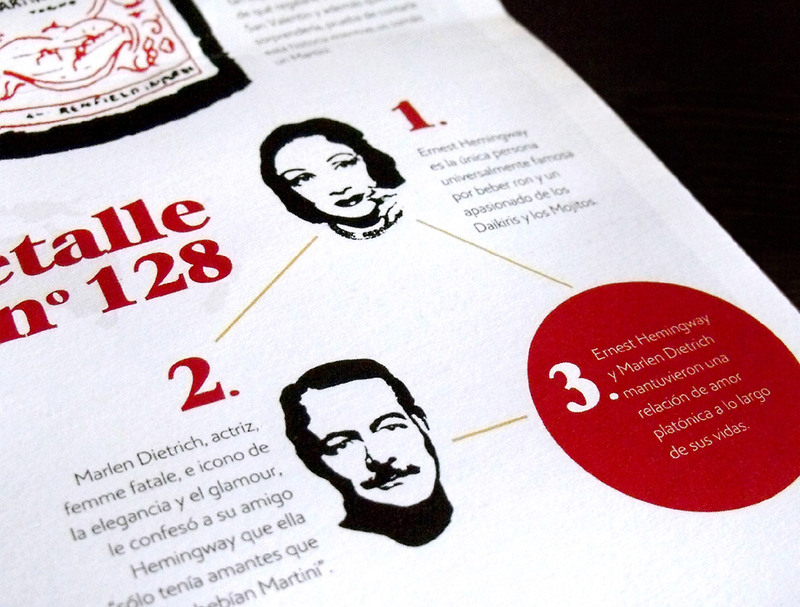 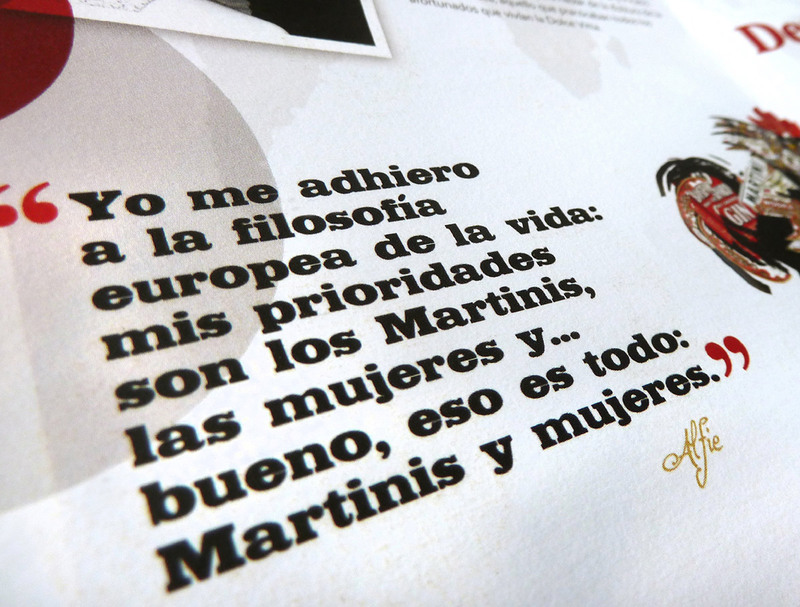 To increase the knowledge of the intrinsics of Martini, it was created a monthly publication called Gazzeta. 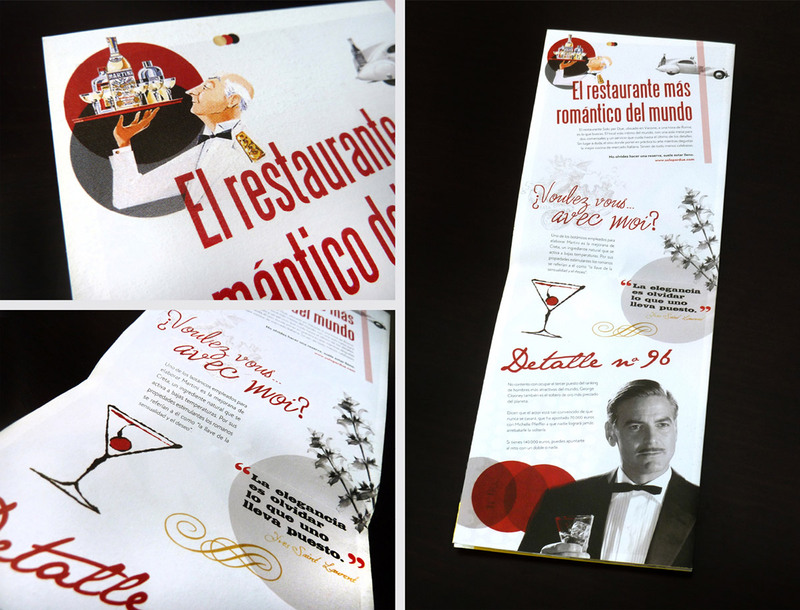 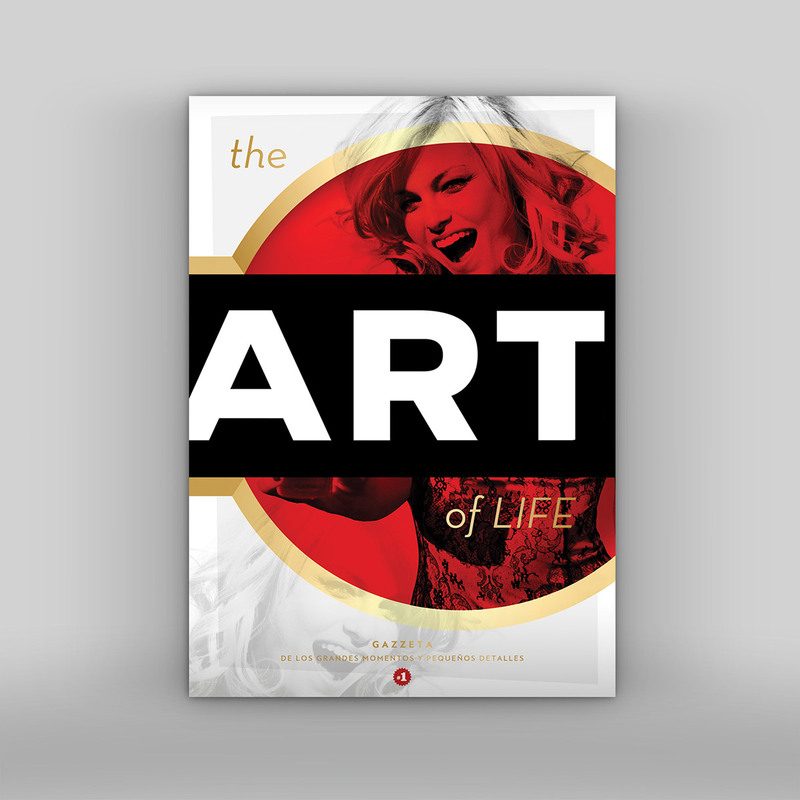 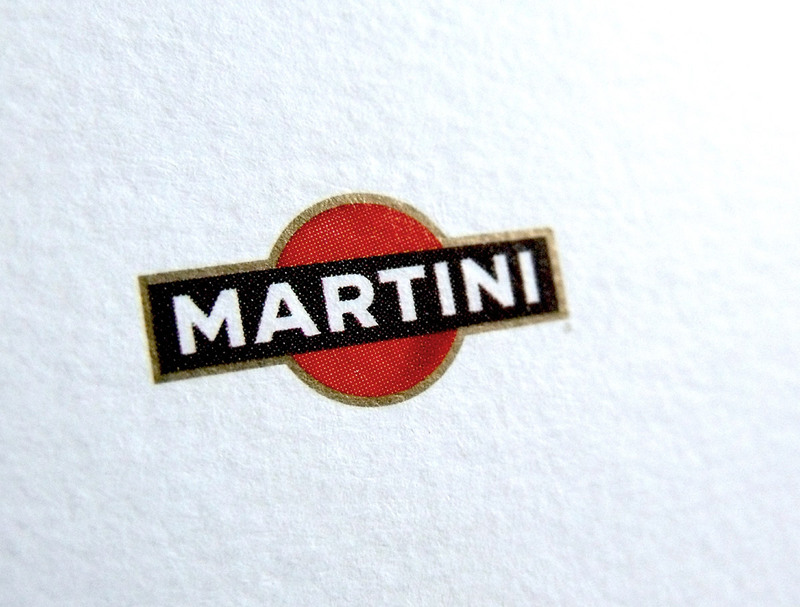 This publication was part of a branded consumer program (The Art of Life), whose aim was to inform about the great amount of details surrounding the Martini brand (anecdotes, glamour, botanicals, process development, history, etc). 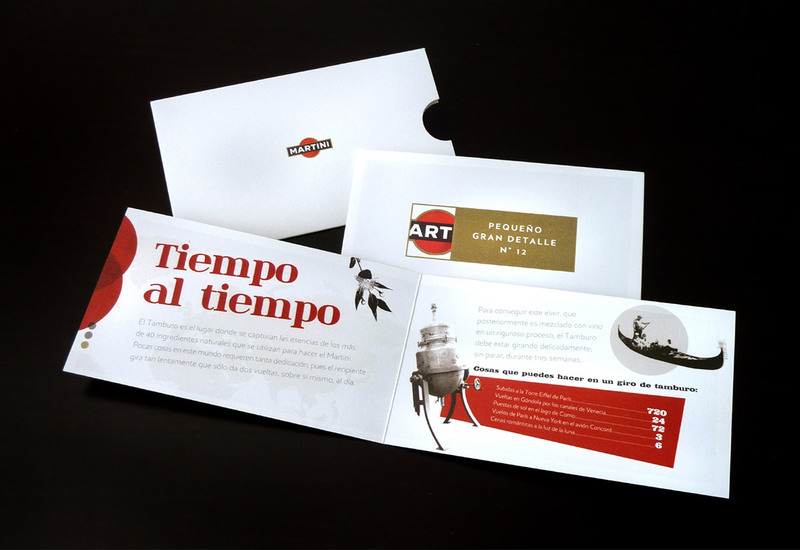 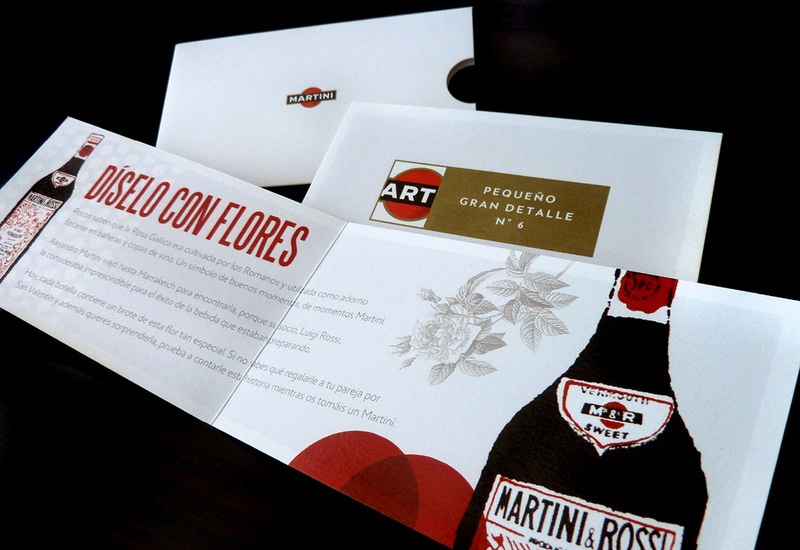 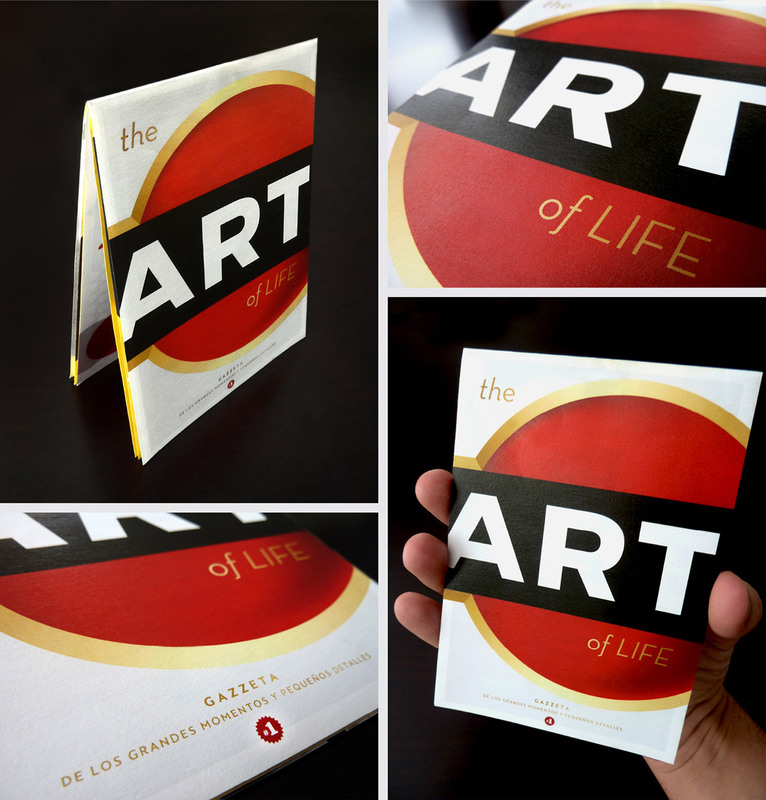 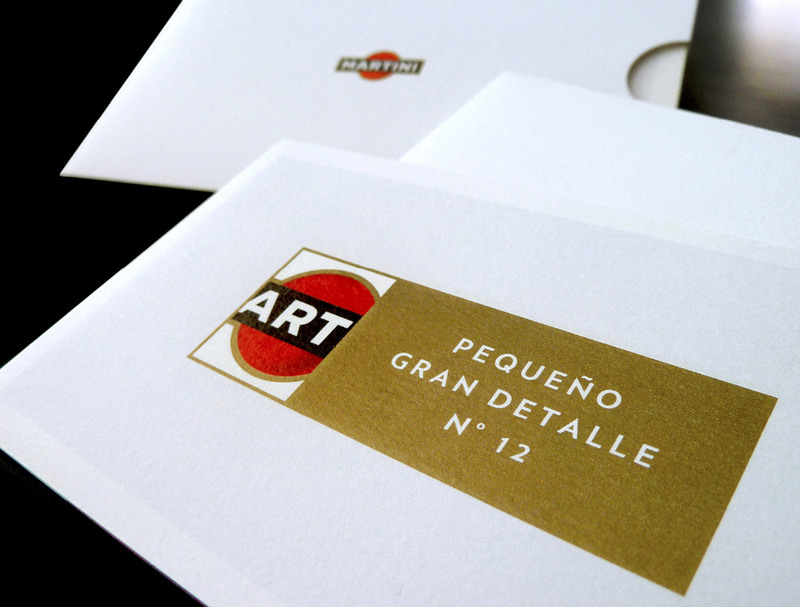 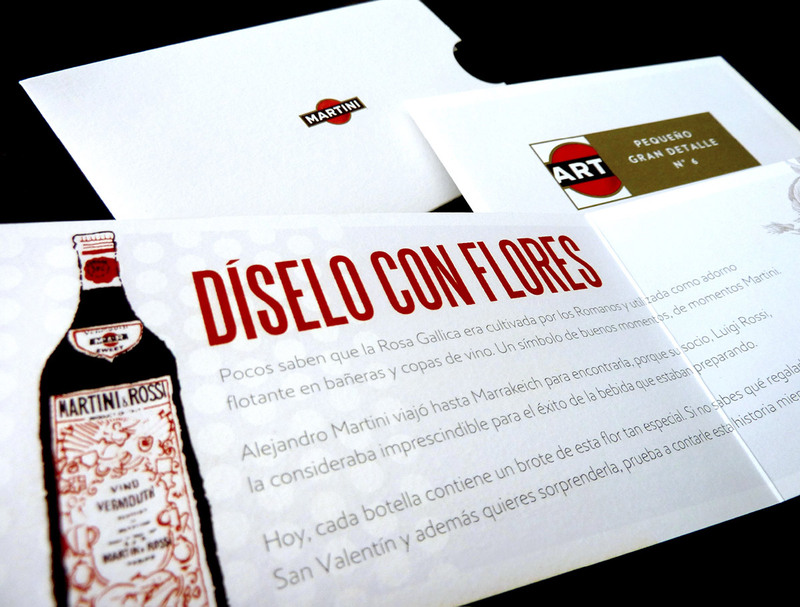 This original masterpiece, was presented in a pull down folder format that that showing a collection of moments and details around the brand. 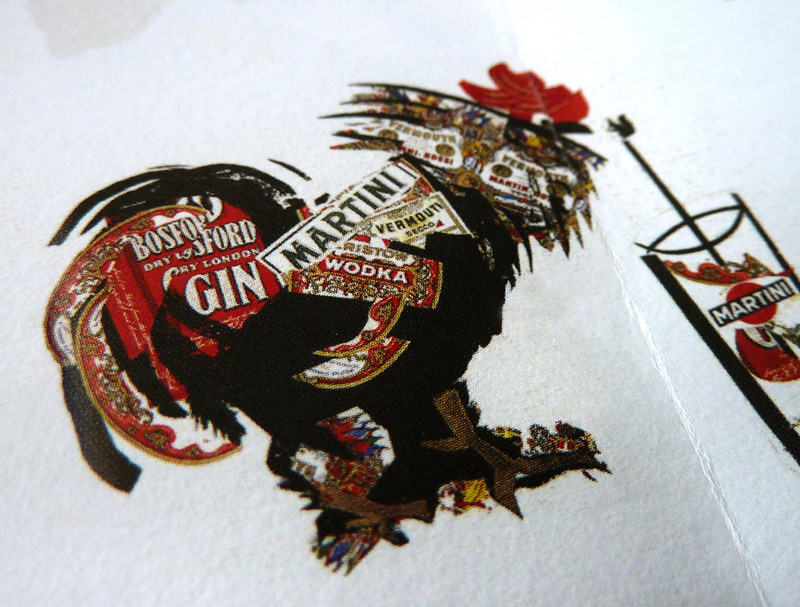 In addition, each publication contained the gift of a historical Martini póster. 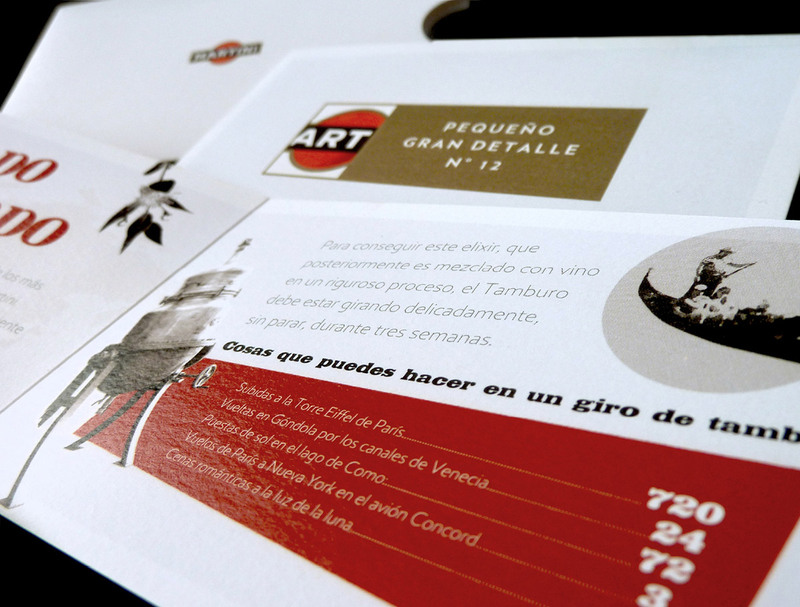 La Gazzetta Martini presented on an original pull down folder format. 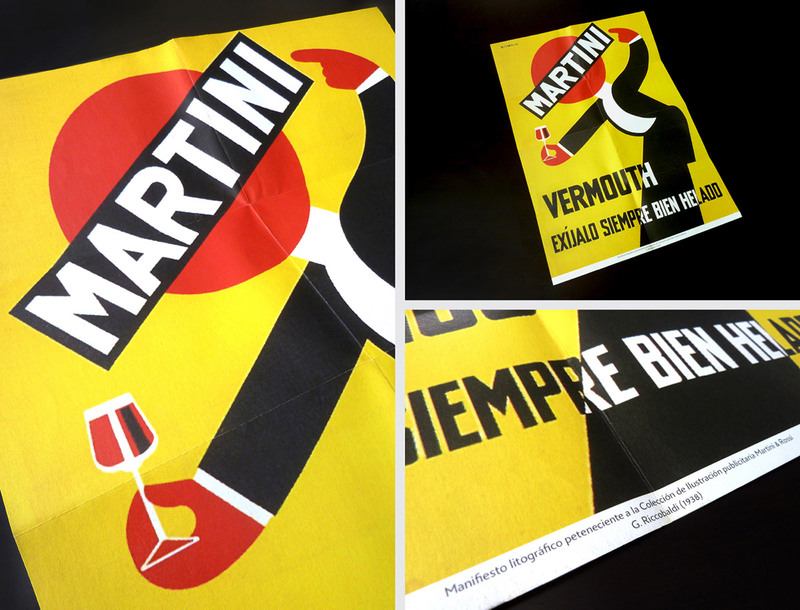 In the last step of the folder there was a historic Martini poster serving as a collectable. 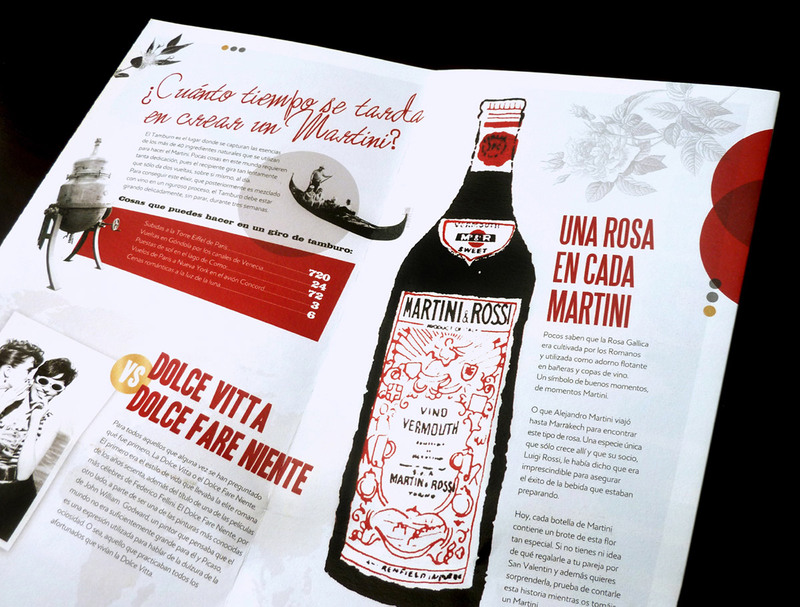 On the other hand, we created an alternative measure to support the main concept which consisted of a series of cards delivered when you order a Martini at any bar or restaurant. 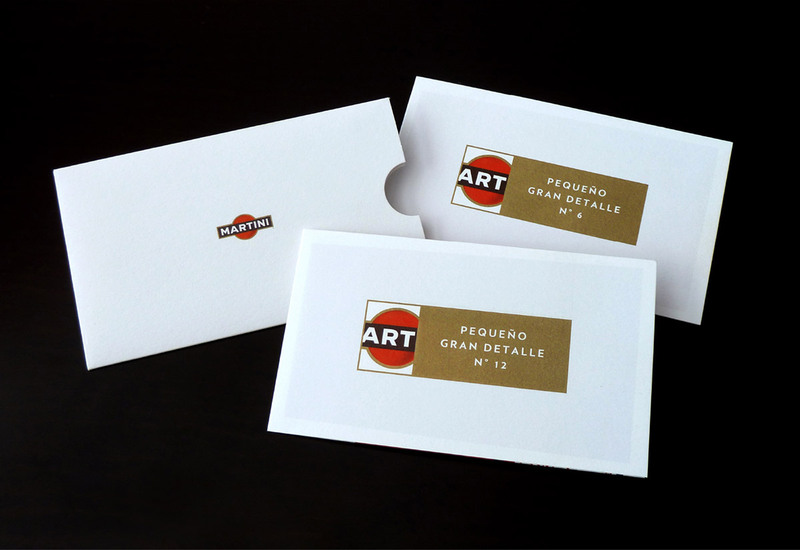 These cards contained messages with different anecdotes and details viewed previously in the Martini Gazzeta "The Art of Life".